Nighat Jan, Director, Ready Steady Go Kids, tells us about the brand’s concept and what support the brand is offering to the franchisees. With a total of eight centres and five franchisees, Australia’s well-known multi-sport and exercise program, Ready Steady Go Kids, is expanding fast across India. 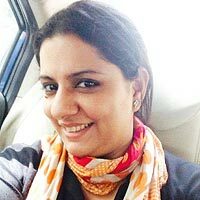 Nighat Jan, Director, Ready Steady Go Kids, tells Ekta Sharma Verma about the brand’s concept and what support the brand is offering to the franchisees. Brief us on the foundation and concept of your brand. Ready Steady Go Kids (RSGK) is Australia’s largest and most reputed multi-sport and exercise program for preschoolers (aged 2.5-8 yrs). Our high quality physio designed program teaches preschoolers the fundamental of 10 sports in a fun, non-competitive, team-based environment. Ready Steady Go Kids seeks to develop a lifelong passion for physical activity and sports, decrease childhood obesity, increase confidence and prepare children for participation in school and their community. We are proud to be at the leading edge of preschool sports programs. The concept lies in giving sports exposure to preschoolers and kids so that they grasp the grammar of sports and hone their gross motor skills early. ‎Once they have understood the grammar of sport, they are equipped to play any sport they wish to. In a one-sport nation like ours, it’s very critical that kids can understand their abilities in various sports and choose their area of strength. Which year did you start franchising? The company has been franchising since 2004 across Australia, the UK, Singapore, Vietnam, Indonesia, and now India since 2013. Individual franchising whereby we encourage women, housewives, entrepreneurial youngsters, preschool teachers/principals to run the business while we take care of the administrative aspect and content via tools and support. We also ensure that they worry about the pedagogy and not operational and administrative side of the business. We maintain quality checks on them as well with surprise visits and audits to ensure the brand's identity isn't diluted or compromised. Coaches and performance managers train the coaches and the franchisees and continue support over the entire duration of the five years with workshops, upgrades, tests and performance tests. Kindly share the brand’s further expansion plans in India and other countries. We are looking to have 100 franchisees in next 18 months.